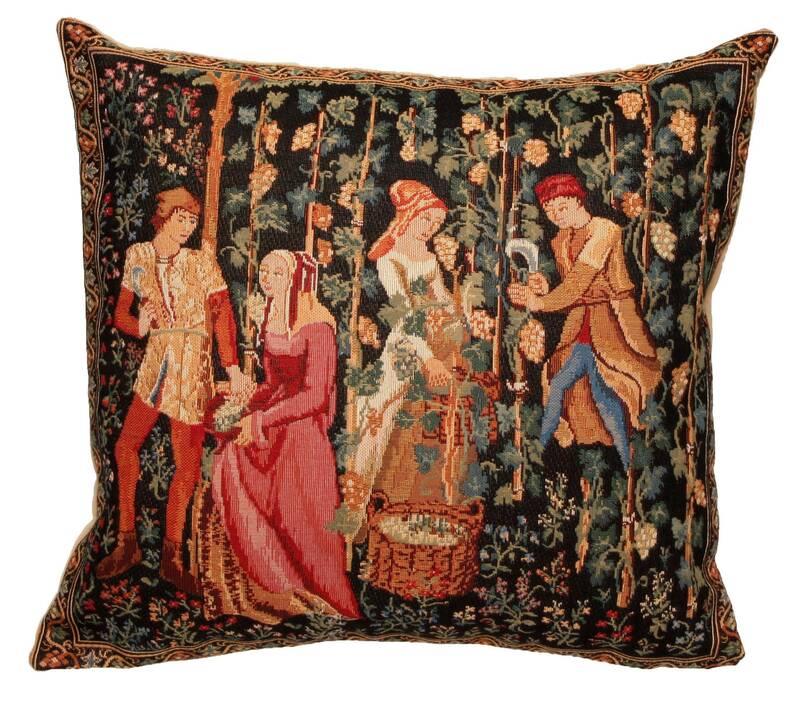 This tapestry pillow cover features a detail from the tapestry "The Vintage" based on the original from the region of Tournai in the 15th century, France. The remarkable scene shows the villagers in intricate attire gathering grapes for preparation for wine production and pressing. Here we see the interactions between the villagers as they go about the task of grape harvesting from the tall vines. The art of wine making developed rapidly in French countryside as knowledgeable wine makers made productive use of farm land in exchange for tithing of produce for the original land owner.